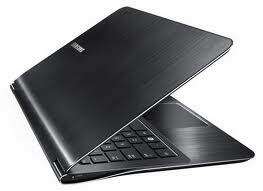 Home Blog Leasing What is an Ultrabook ? What is an Ultrabook ? When it comes to leasing a laptop, you will often find that some laptops are referred to as Ultrabooks. But what is an Ultrabook and what differentiates it from a traditional laptop or notebook? In 2011, Intel coined the term Ultrabooks to distinguish new, lightweight laptops from the traditional 15” laptop. This was, in part, a response to Apple’s extremely thin and popular MacBook Air line of ultra-thin laptops. An Ultrabook must be less than 20mm thick. Prior to 2011, thin laptops existed because they often made sacrifices in other aspects of their specification in order to keep their size down. Today, Ultrabooks are even thinner and more powerful. An Ultrabook is defined as weighing less than 1.4kg. Intel wanted Ultrabooks to offer longer battery lives than powerful, more traditional laptops. An Ultrabook has a battery life of 5 to 8+ hours on a single change. This was achieved using power-saving components. Today, with advances in technology, Ultrabook battery life is even longer. Ultrabooks do not contain DVD drives. Ultrabooks utilise SSD drives as their main storage device. These extremely fast storage devices draw very little power, allowing the laptop to return from sleep or hibernate state to a fully functioning operating system in five seconds or less. Today, Ultrabooks demonstrate that it’s possible to have a compact, light, and durable laptop that’s both elegant and fast, and has sufficient battery power to last at least the length of a working day. We offer an ever expanding range of Ultrabooks to lease, starting from just £7.50 + VAT per week. Explore our range of Ultrabooks from Lenovo, HP, Dell, ASUS and more, or get in touch today to discuss your requirements further.